The whole team at the ibis Avignon Centre Pont de l'Europe is delighted to welcome you to Provence. Visit the Popes' Palace and the Pont d'Avignon on foot and explore your surroundings. Get away from it all among the lavender and the sound of cicadas. 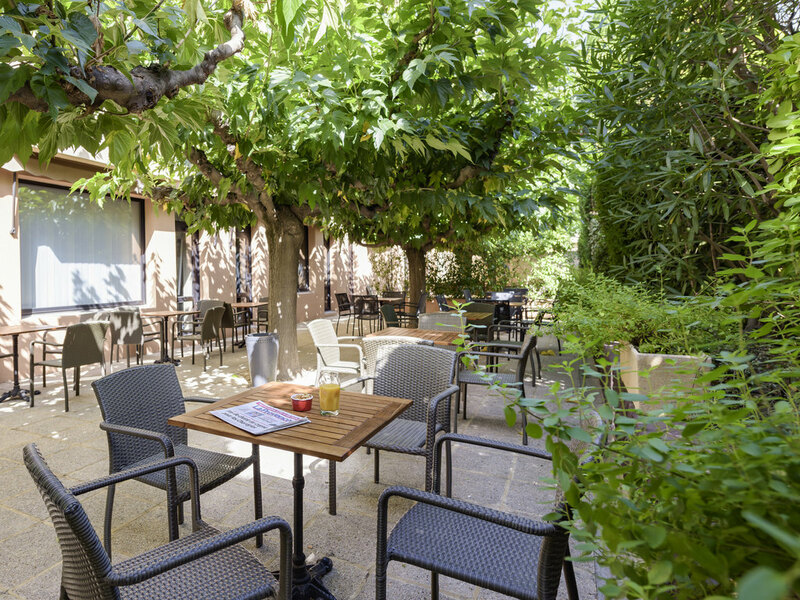 Located in the city center, close to the Gare Avignon Centre train station and Avignon's old town, the ibis Avignon Centre Pont de l'Europe hotel is the ideal base for your business trips, a stone's throw from the convention center, or family vacations, close to the Pont d'Avignon. Our reception is open round-the-clock. We are always on hand for advice or to provide you with drinks or snacks at the bar or on the terrace. The hotel also has a space for bikes and motorbikes and public car parks are nearby. Our location allows you to explore Avignon on foot and gives everybody the chance to discover this Provencal city and its fairs, exhibitions, and world-famous festival.